Dubai: All halal food products sold in Dubai will soon have to carry a smart logo that will help consumers verify the authenticity of their halal accreditation using a mobile application. Dubai Municipality on Monday signed an agreement with SICPA, a Swiss company that will provide the smart logo to companies producing halal food products and a mobile app for consumers to verify the halal certification of these products. Hussain Nasser Lootah, director-general of Dubai Municipality, said the smart logo will be implemented in the market within six months. SICPA will launch the mobile app for the consumers and the inspection device for inspectors after the implementation of the smart logo in the market. Ameenah Ahmad Mohammad, director of Dubai Accreditation Centre under the municipality, said the plan is to digitise the UAE National Halal Mark so that the information encoded in the logo can be read by using the mobile app. She said all companies producing halal food products will have to now apply for the smart logo of the UAE National Halal Mark that can be digitally read. “Only this company [SICPA] can provide it. In the future, if the logo can’t be digitally read, it will not be considered original accreditation,” said Mohammad. 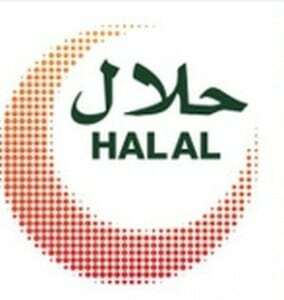 According to the official, authorities in the UAE are trying to have only one logo [the UAE National Halal Mark] for all halal products in the country. “If there are products with accreditation from anywhere else, they should also get this logo,” said Mohammad. By scanning the smart logo, food inspectors will be able to trace the history of the product without referring to paperwork.